Artist Joanne Pari-Mueller at BEAVER TALES! 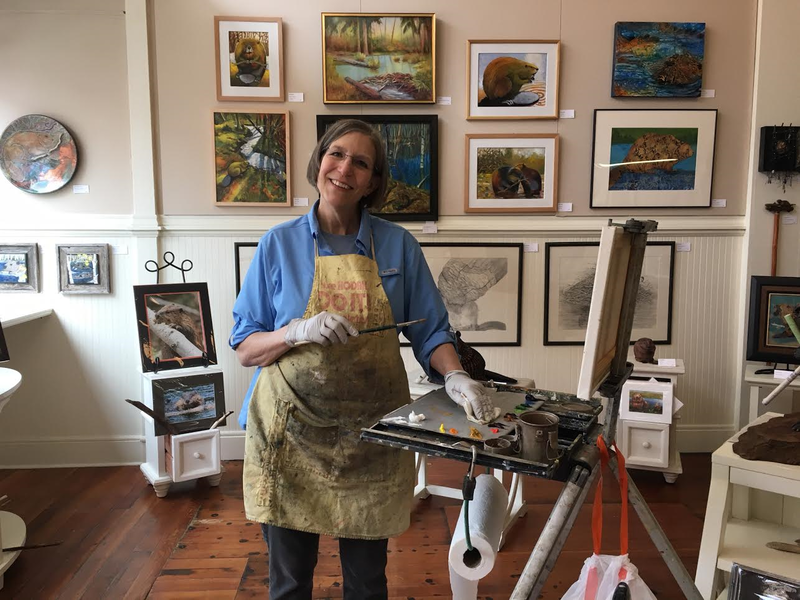 Joanne Pari-Miller, artist demonstration, TODAY! What’s up next, you ask? 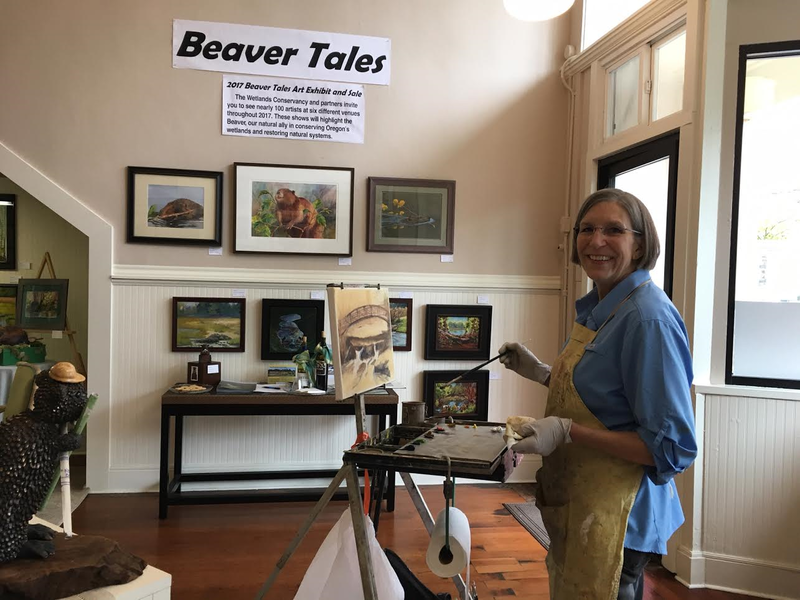 BEAVER TALES … Painting Seaside LIVEtm – Artist Demonstrations Beaver … Beaver Tales curator: … Seaside First Saturday Art Walk. Guess who arrived to offer a Painting Seaside LIVE ™ episode for BEAVER TALES? Artist Judy Horning Shaw! 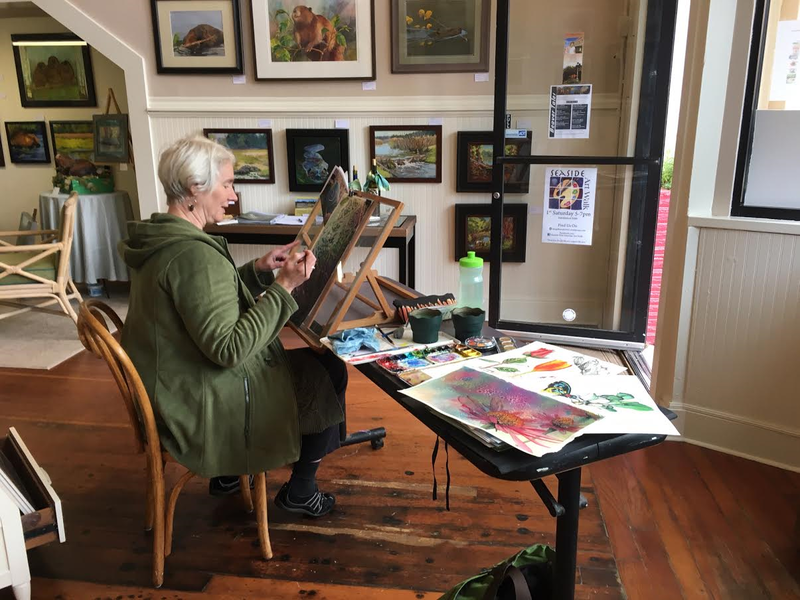 Judy Shaw demonstrated oil painting and her completed works at the Beaver Tales Exhibition Gallery located at 608 Broadway, Seaside. SEASIDE — Edward James left Astoria “a zillion years ago” to pursue his theatrical passion in New York, the Midwest and eventually Portland. “I came here about 10 years ago to retire, and I discovered something significantly different than when I left,” James said. Artists from the March 2016 Seaside First Saturday Art Walk. A photo album. 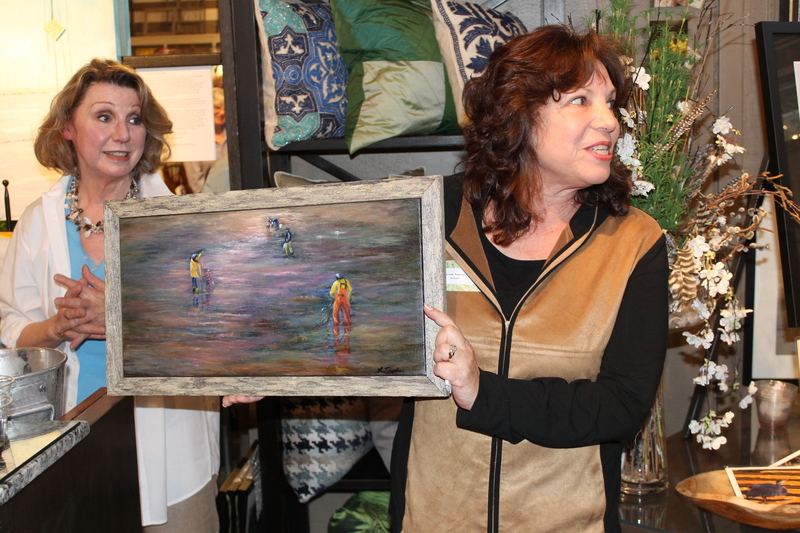 Celebrating 12 years in 2016, the Seaside First Saturday Art Walk, was held on March 5th. Save the date: The next Seaside First Saturday Art Walk is April 2nd, 5-7Pm. Please visit: facebook.com/SeasideFirstSaturdayArtWalk for more information. From photographer Don Frank, images and a back story about the ocean. “Parochialvelella” original photo mounted on bamboo by photographer Don Frank. In recent weeks, about a billion jellyfish-like “purple sailors” have washed up on West coast beaches. 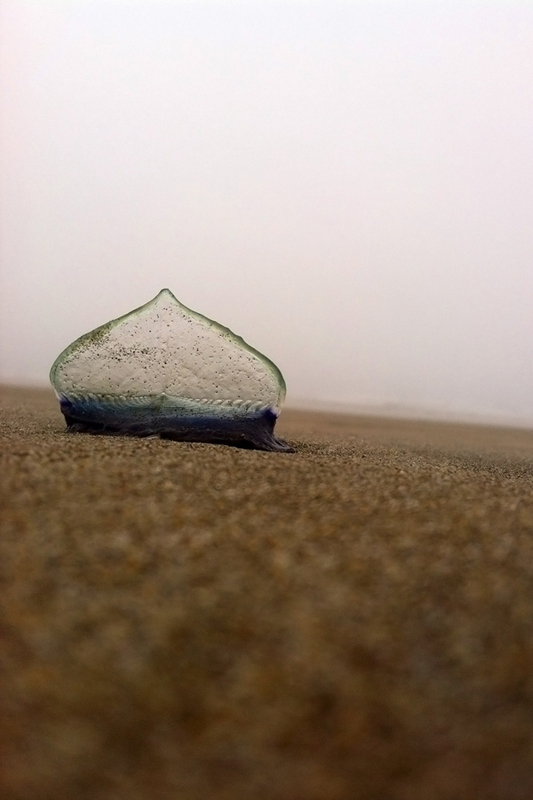 The animals—known as “by-the-wind sailors” or Velella velella—founder on the shore and pile up like a carpet of deflated blue and purple balloons. The jellies started washing up on Oregon and Washington State beaches four to six weeks ago, says Kevin Raskoff, a marine biologist at Monterey Peninsula College in central California. The animals usually float on the surface in the open ocean, riding wind and water currents in search of food using a hardened, triangular “sail.” But in years when the wind changes direction, they are pushed toward shore—and almost certain death. The mass strandings aren’t unusual, Raskoff says. They happen about every three to six years. Since these animals are related to jellyfish, they can also sting. Velella are predators and hunt microscopic plankton on the ocean’s surface. Don Frank is a professional photographer who lives and works on the Oregon Coast. The unusual has always held a special place in Don’s artistic vision. 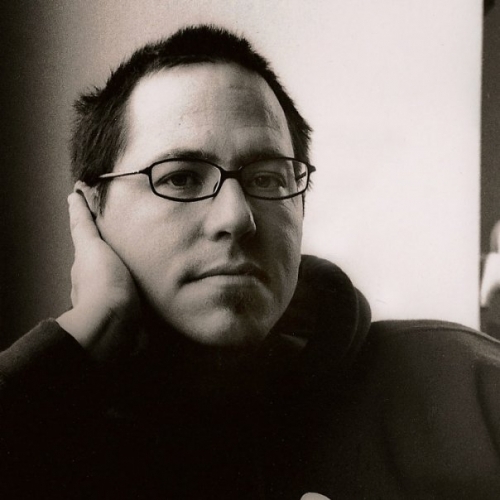 The combination of his professional commercial experience coupled with a sardonic worldview has helped him create imagery that has found homes in galleries and collections across the country, including the Museum of Contemporary Photography in Chicago and the Center for Fine Art Photography in Colorado. Many photographers simply observe, Don likes to participate. “Drop So Fair” photograph mounted on bamboo. “Channel of Darkness” photograph mounted on bamboo. “Bubbles of The Sun” photograph on bamboo. Original photographs mounted on eco-friendly Northwest grown bamboo by photographer Don Frank. Q: What is eco-friendly bamboo? A: The reason why bamboo is known for its environmental sustainability is that it is considered a grass and not a tree. This means that it is harvested when it is quite young. The comparison is that it takes an oak tree 60 to 120 years to grow to maturity whereas it takes only about five years for a bamboo plant to mature to the point when it can be harvested. It also self-generates in a self-contained pot relatively quickly. Save the date and time. Seaside First Saturday Art Walk. June 6th 5-7:pm. Seaside First Saturday Art Walk, celebrating 11 years in 2015, is all about the arts. Visitors artists, sip wine or snag appetizers by favorite restaurants or personal chefs, view artist demonstrations, or enjoy live performances in music. The next art walk is June 6th 5 to 7 p.m. Saturday, at galleries, businesses, and dining establishments located between Holladay Drive and Broadway in the historic Gilbert District of downtown Seaside. 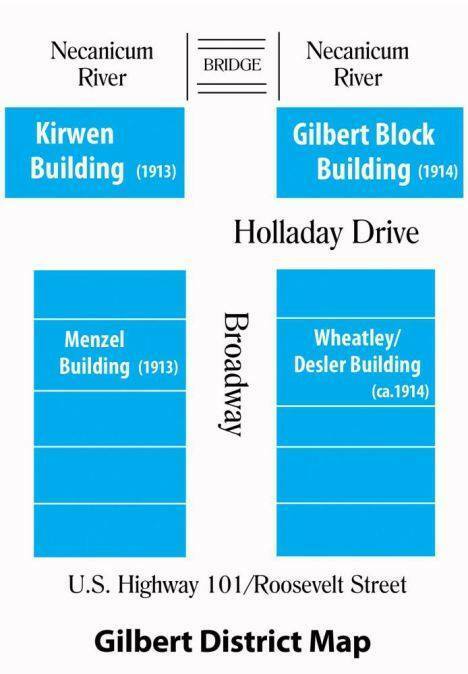 Courtesy parking for the Gilbert block is available on the corner of Holladay and Oceanway. Features the richly-textured fine art mosaics of Portland artist Kath Jones. With a particular fondness for blended colors in glazed pottery, Kath integrates the pottery shards with semi-precious stones, shells and beads to create panels of vivid abstracts, trees and landscapes. Also participating will be mixed media artist Patty Thurlby, a longtime local’s favorite. Live music will be provided by Richard T. on guitar and SunRose owner Ray Coffey on sax and flute…..it will be a great night of art and music! Features artist Marcus Lundell, who utilizes a traditional reverse glass painting technique on distressed windows. Window views include classic landscapes and comedic characters – sometimes juxtaposed in the same scene. Proceeds benefit the Clatsop County Animal Assistance. Offering original water colors, bronzes, limited edition giclee and prints, Native American jewelry, oil paintings, greeting cards and metal sculpture. Featured artist for June 6th is Ken (The Buffalo Man) Hurley, from Raymond, Washington. He is an award winning Cowboy Artist. Opens Ocean Staged, highlighting the fascination of the sea with artists: children on the beach by Victoria Brooks; Jan Shield, Professor Emeritus of Art at Pacific University, sculptural works; Beth Collins, Maryhurst University arts graduate, North coast oil paintings; Don Frank, abstract photographer and Paul Brent, who in his watercolors to his recent oil paintings captures the element of the sea in its best and most idyllic form. 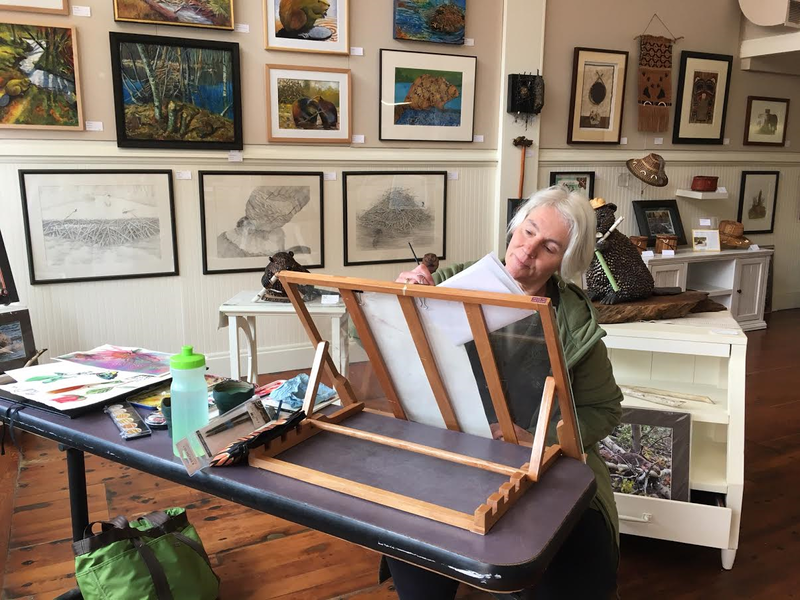 Introducing new artists: oil paintings by Cheryl King; fused glass sculptor Cindy Duvall and emerging artist Chelsea Janes, who stipples in pen and ink, placing many, many dots on the paper to indicate shading. The artists will meet patrons. A Seaside Painting LIVE ™ episode will be offered by Paul Brent. Shirley Yates-Smith will perform LIVE music. Seaside/ Gearhart naturalist Neal Maine will speak at 6:00 pm about “living along the coastal edge”. Features the Green Cab Artist Collective. The collective was created with the goal of encouraging and inspiring one another, sharing artist techniques and information about the business side of art, and sharing work with the public. The “Cabbies” are a synergistic alliance of artists, working in diverse mediums from the greater Portland area. The featured artist from the group for June is Helvi Smith who is showing her farm to table series, art that is painted with recycled acrylic house paint. Featuring contemporary poster art work by gallery artist, gallery owner and Seaside philosopher Billy Lutz. “Transnational corporate philosophy is the train. Inertia is the track. Environmental calamity is the cliff. Middle class is the distracted passenger. Materialism is the closed curtain in the Pullman car. Slide the curtain. Open the window. Smell the life. Shake the lethargy”. Fun fact: A mural was recently completed by the artist representing the South County Community Food Bank’s mission to provide food to those in need. Featuring Linda Fenton-Mendenhall who wears many hats, as a photographer, antique exhibitor and entrepreneur with work that focuses on the Seaside landscape and people. She has lived on the Oregon coast all of her life. Fun Fact: Her photo of the Astoria Bridge has been selected to be used for the 2015 Astoria Regatta advertisement. 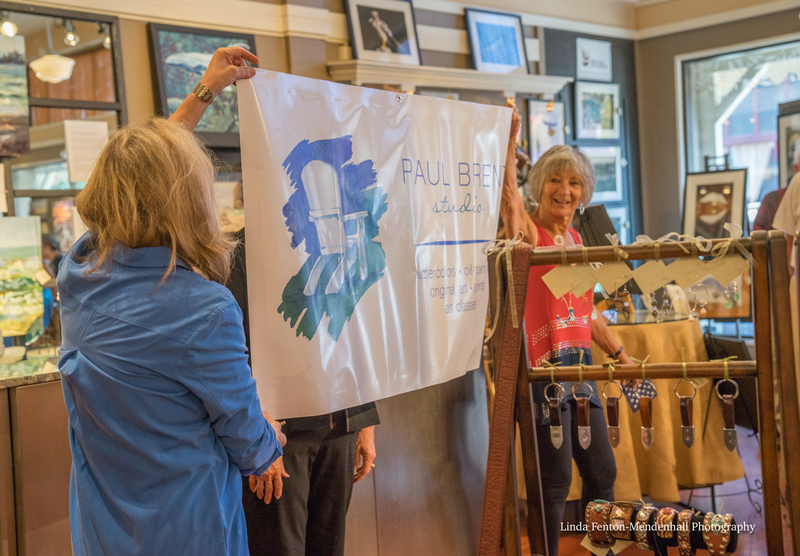 The Mission of the Seaside First Saturday Art Walk is to provide an excellent cultural experience and to support regional talents in visual art, literature, and music for the benefit of our residents and visitors. From the Seaside Convention Center walk ½ block south to Broadway, cross the Necanicum Bridge and walk 1/2 block east. Sitting benches are available on Broadway and on the River Board Walk, as well as, a bike rack on the corner of Broadway and Holloday. From Pacific Coast Highway (101) turn west at the light on Broadway. Continue on Broadway to the first stop sign at the intersection with Holloday. Dedicated parking for the historic Gilbert District is on the corner of Holloday and Oceanway, as well as, three hour parking on Broadway. 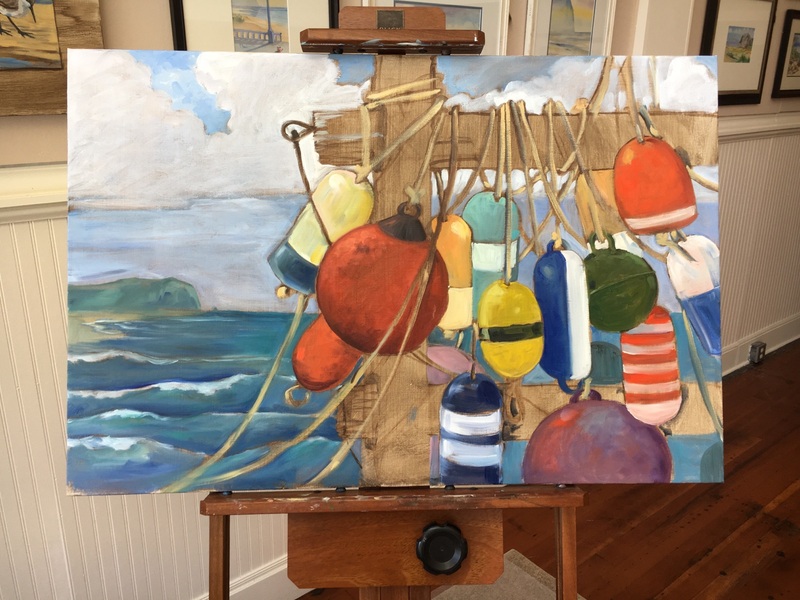 A dueling duo, Marga Stanley and Kimberly Reed, resident artists at Fairweather House and Gallery, demonstrated a Painting Seaside LIVE ™ event, each finishing a work in progress with the span of an Art Walk evening. Seaside First Saturday Art Walk on May 2nd, OPEN WINDOWS, an exhibition. Artist Linda Trexler offers a sneak preview of her work that will be shown at Fairweather’s in June. SAVE THE DATE. June 6th, upcoming Seaside First Saturday Art Walk. Faiweather’s will have an exhibition titled: OCEAN STAGED. 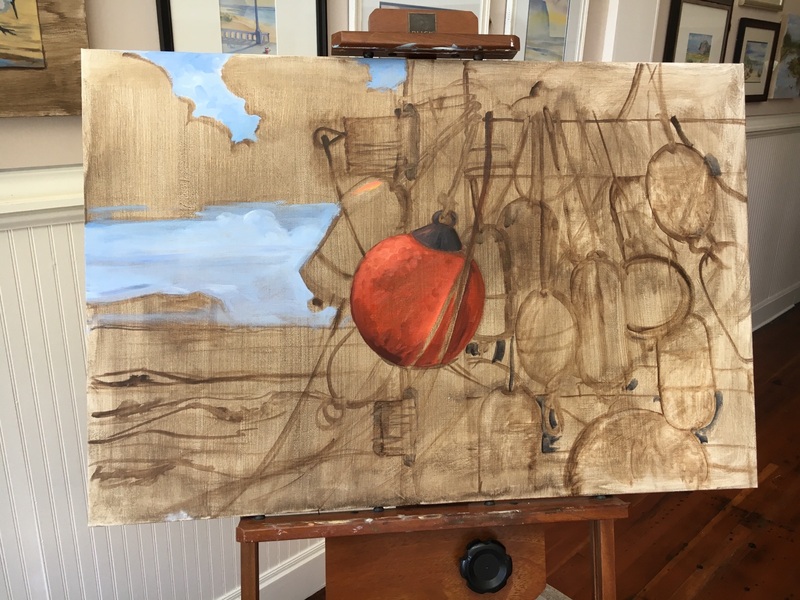 News from artist Gretha Lindwood who appeared during Seaside First Saturday Art Walk in February. Great news! 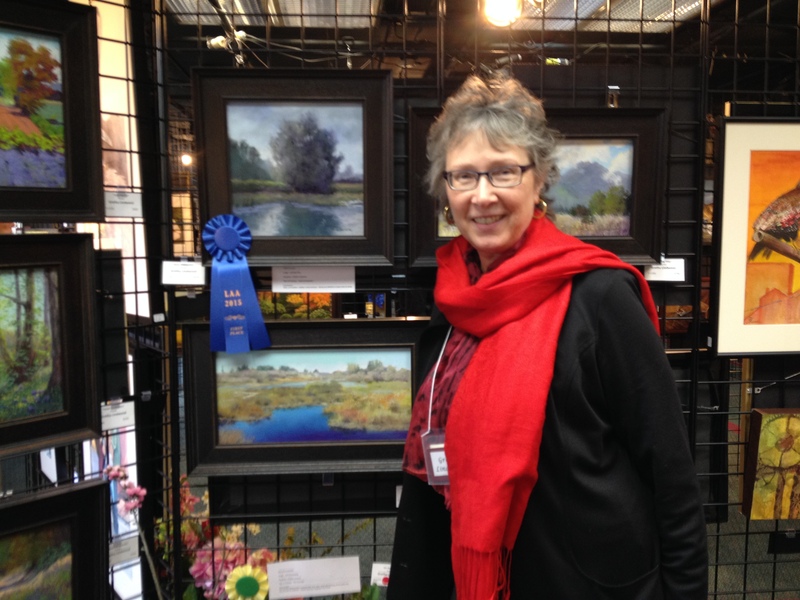 “Quiet Anticipation,” the pastel painting I did at Fairweather House & Gallery as a demo during the February Seaside Art Walk, received the First Place Award at the 49th Annual Lake Area Artists Show & Sale this past weekend in Lake Oswego, Oregon. For more information, go to: http://www.fairweatherhouseandgarden.com/ blog/ Feb. 13, 2015. Enjoy what is new and beautiful from artist Gretha Lindwood.